Buy Mandala seeds here at the best prices on the internet for cannabis seeds. The mandala seed company was started in 2004 by Mike and Jasmin whose background of adventure, travel and the study of Cannabis prepared them perfectly for such an enterprise. 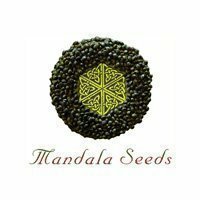 Both of the owners of mandala seeds are experts in the fields of biology, horticulture and agriculture meaning the genetics from this seed company are second to none. Mandala strains such as Hashberry and Satori are timeless and always popular but many new strains have been developed and keep pushing things forward for this excellent seed company.